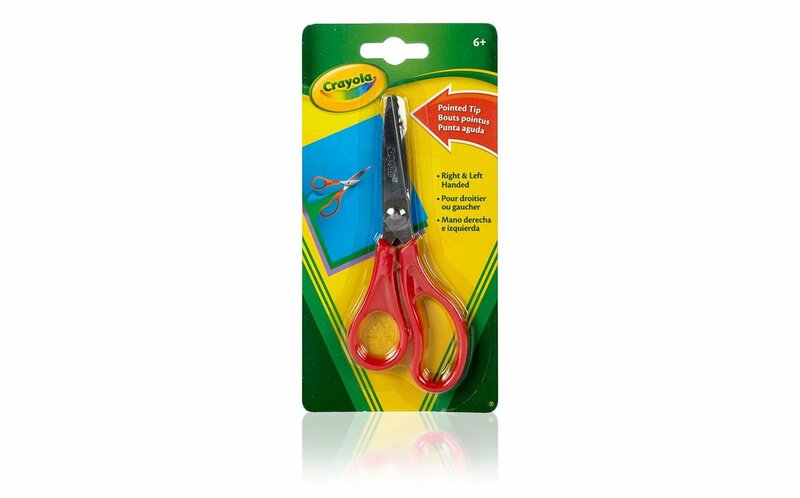 When kids are ready to handle a pair of scissors, these Crayola Pointed Tip Scissors are a good first pair for most projects. The easy-to-handle comfort grip means children won't strain their hands with the cutting motion. 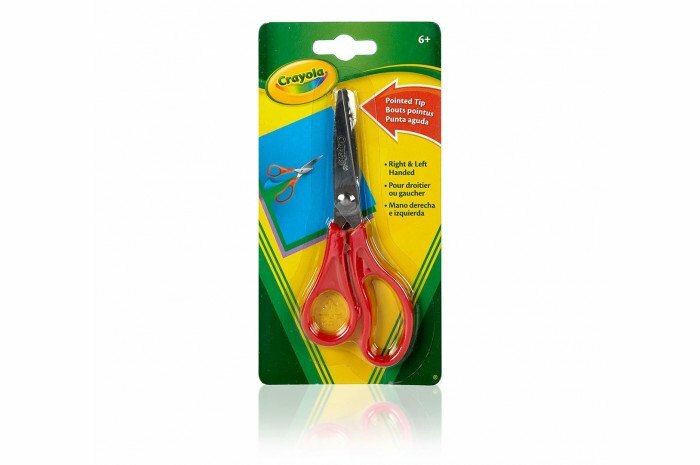 Whether they are left handed, right handed or ambidextrous, these scissors are a good choice.